Technician A creates a report and schedules it in a periodic basis. Will Technician B be able to view the reports scheduled by Technician A ? One of our technicians has left the company and the reports schedule by him is still being triggered. How do I go about deleting this report? Also, I would want to check the other reports scheduled by the technician. Is the database schema of ServiceDesk Plus – MSP available? The database schema is accessible from within the ServiceDesk Plus application. Where can I find the Frequently Asked Query Reports in the application? Go to the Reports tab -> Frequently Asked Reports. 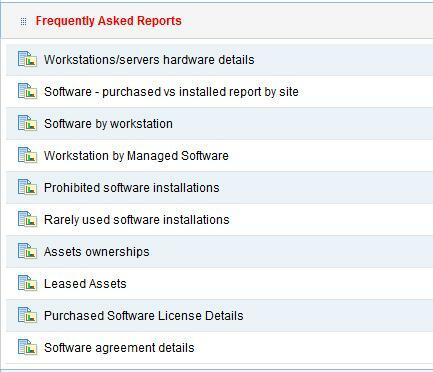 [ Screenshot ] Or, go to Reports tab -> New Query Report -> Frequently Asked Reports. How to convert the long value to date format in ServiceDesk Plus – MSP? Use “from_unixtime([columnname]/1000)” in the mysql prompt to get the date in the correct format. No, technicians cannot view reports scheduled by other technicians. Solution: Remove the company logo from Admin-Organisation details & save or upload the image as per the size specifications and the supported image format.